Kyrill V. Korolenko (May 12, 1932, to March 16, 2019), a veteran of the Korean war, was born in Kharkov, Russia. He arrived in the United States in 1949 and was the son of Vladimir G. and Nina V. Korolenko. He leaves behind a wife, Svetlana (' Lana') Wagel Korolenko, wed on June 6, 1958, two children, Alexandra and George, and grandchildren. Early in his career Mr. Korolenko was involved with the Air Force's famous Flying Wing bomber, that was a precursor to the B-2 stealth bomber. He served 4 years in the U.S. Air Force (1951-55) as a Tail Gunner on a B-36 heavy bomber. Mr. Korolenko was a member of 7 th Bomb Wing B-36 Association, the United States Naval War College Foundation, and recipient of the Naval War College diploma (1979). Mr. Korolenko began his career as a Sonar Engineer (1959-68) in the Anti-Submarine Warfare Development and Advanced Sonar sections of General Electric Co. (Syracuse NY) while at the same time advancing his education by achieving Bachelor and Master’s Degree in Electrical Engineering at Syracuse University and State University of NY, respectively. He also did post-graduate studies at the Massachusetts Institute of Technology. Staying in his field of expertise, in 1967 Mr. Korolenko accepted a career opportunity as Senior Engineer at Raytheon Company's Advanced Development Department of the Submarine Signal Division (Portsmouth RI) where he undertook technical and managerial roles in performing analytical and engineering assessments for conceptual design, development and fielding of surface, air, and submarine sensor systems. Mr. Korolenko remained at Raytheon until 1972, when he began his 38-year career with government civil service. Mr. Korolenko worked at the Naval Underwater Systems Center (NUSC New London CT), predecessor of the current Naval Undersea Warfare Center Division (NUWC Newport RI) where he eventually retired in 2010. He initially served as Deputy Division Head and Consultant in the Tactical Development and Fleet Exercise Support Division and became Chief Scientist of the then relatively new Ship Anti-Submarine Warfare (ASW) Readiness and Effectiveness Measurement (SHAREM) and Shallow Water programs. His involvement in international activities began in New London with the assignment of NUSC/Navy Science Assistance Program (NSAP) representative in Naples, Italy. Mr. Korolenko's experience includes working with the Defense Advanced Research Projects Agency (DARPA), Surface Warfare Development Group (SWDG), and Submarine Development Squadron Twelve (SUBDEVRON-12) to develop equipment and tactics for strategically important areas worldwide. As Head of NUWC Division Newport's Tactical and Fleet Support Systems Division (1986-96), Mr. Korolenko managed the highly successful Surface Ship ASW Analysis Center (SSAAC) and a second program for developing mine avoidance capability for shipborne ASW sonars. At the forefront of sonar technology, Mr. Korolenko managed technologies that have since transitioned to current Fleet modernization capabilities. His knowledge and expertise were frequently sought after as he was an invited speaker at numerous high visibility conferences and symposia including: The Naval War College, National Defense Industrial Association, American Defense Preparedness Association, and the U.S. Navy Surface Warfare Officers School. In addition to many other talents, he spoke multiple languages and was an excellent writer. His report of a Soviet Surface Combatant visit to the U.S. (Mayport, FL) near the time of the demise of the Soviet Union is a classic narrative. Considered a leading military expert, Mr. Korolenko was the American Chairman for the St. Petersburg Institute on Informatics and Automation of the Russian Academy of Sciences for workshops on Information Fusion and Geographic Information Systems (rF&amp;GS) and is the American co-editor of an international book proceedings published in 2007 by Springer. The conference, held every two years in Europe, was sponsored by the Russian Academy of Sciences and the U.S. Office of Naval Research (ONR) Global. 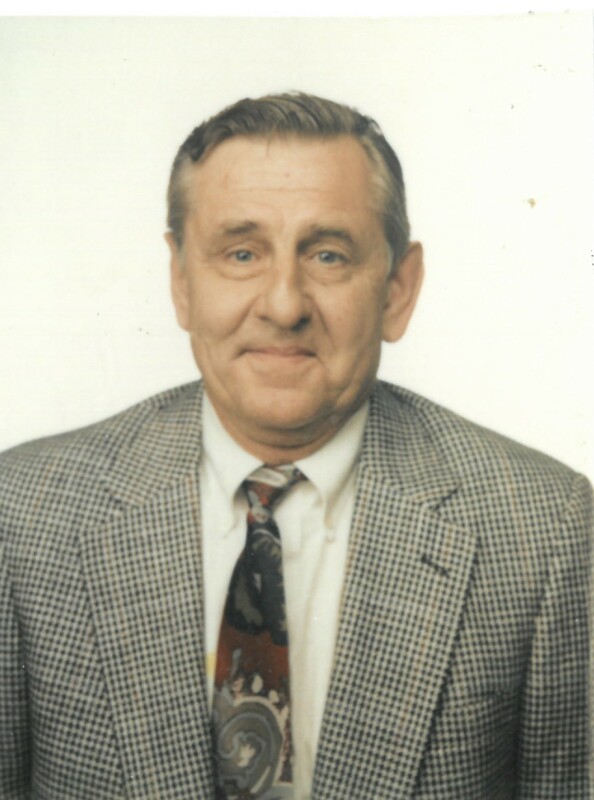 Mr. Korolenko was a longstanding advocate for the U.S. Navy's Science and Technology (S&amp;T) advancements. Enhancing global science and technology connectivity-the mission of ONR Global-may very aptly describe Mr. Korolenko's career. In his position as Associate Director for Sensor Technology for ONR Global's International Field Office, London, UK (2000-2003), he was able to put into practice his longstanding awareness of, and engagement with, world-class science and its practitioners. This position allowed him to provide an accurate and timely assessment of international S&amp;T activities and developments. He was able to relate these to U.S. Navy S&amp;T programs by informing the highest echelon levels in the Navy. Mr. Korolenko undertook a pivotal role at an invitational conference held in 2004 at the Naval War College with upper echelon officials from the Russian Navy and others in attendance. The conference was co-hosted by the Naval War College, Brown University, and included U.S. Fleet participation. The post-Cold War conference had a peace­ seeking mission between the two countries with the idea of bringing new understanding of the strategic and operational challenges faced by both the U.S. and Russian Navies during an extraordinary period in naval history. The War College President acknowledged Mr. Korolenko as the one most responsible for the conference's success. Mr. Korolenko's success as a highly creative innovator is reflected in his extraordinary record of publications and patents. His inventions include such diverse technologies as a mine clearance and assault system, a retractable underwater turret, and a multi -frequency sonar system. He has been referred to as a " National Treasure" by senior military leadership and operational Fleet commanders including Battleforce 7th Fleet, Destroyer Squadron- 15 to name a few. One Battleforce Commander, upon returning from the Persian Gulf after Desert Shield/Desert Storm acknowledged that the ship wouldn't have made it home without the equipment instituted by Mr. Korolenko. Then Chief of Naval Operations, Admiral Vernon E. Clark USN (Ret. ), who shared a personal relationship with Mr. Korolenko, once remarked that, " Mr. Korolenko has spent more time at sea doing ASW than most sailors”. Mr. Korolenko's maxim has always been to do what's best for the Navy and its sailors. National Defense Industrial Association (NOIA) Bronze Award (2008); American Defense Preparedness Association (ADPA) Bushnell Award for Science, Engineering, Education and Management (1991); Superior Civilian Service Award, U.S. Department of the Navy (1989); and, Meritorious Civilian Service, U.S. Department of the Navy (1974). Upon retirement in 2010, Mr. Korolenko received NUWC's coveted "Decibel Award" for his many significant contributions to the advancement of sonar in the Navy, and a congratulatory letter from the White House signed by President Barack Obama thanking Mr. Korolenko for his service to the nation. A private family funeral and burial service was held on March 21, 2019, at the Russian Orthodox Convent in Nanuet, NY. The family has requested that any donations be sent to the Russian Orthodox Convent, 100 Smith Road, Nanuet NY l 0954.